This book was meant to form part of my Christmas reading but I gave in and started it early. In some ways I wish I hadn’t. I’m just over one third of the way through the book and it’s really annoying me. “I am currently reading the above [book] but I'm not enjoying it as much as I'd hoped. I have been shocked by the extremely poor standard of proof reading evident in this first edition hardback. It's so bad it has succeeded in spoiling the book for me. Every 15-20 pages there's an error where the proof reader/editor has missed a superfluous, and incorrect, word. All the errors would have been picked up by a basic software grammar check. It's doubly annoying as it's not immediately obvious which word is correct. So far I have read 120 pages. I fully expect to find more errors regularly throughout the remainder of the book. It would also help the reader if the main maps were listed in the contents as it took me some time to realise that the maps were tucked away in the centre of the book at the end of the photo selection. 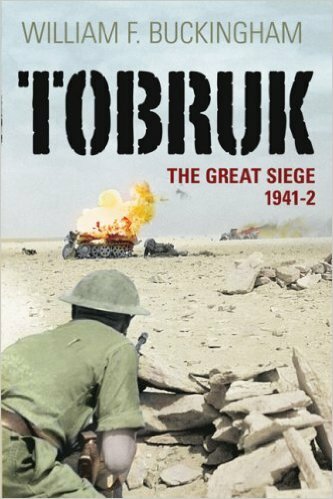 I have also spotted a factual error on page 101 where the author is describing the fortifications around Tobruk. He begins from a point west of the port and describes the defences running south then west before turning north to the sea: this does not encircle the port. The defences run south, then *east* before turning north to the sea. A little research shows I am not alone in my opinion: see the Amazon & GoodRead reviews. Not recommended. Let’s see if I get a reply. That’s very kind of them and totally unexpected. Yesterday I selected a book on SYW uniforms (quite a bit of a departure for me and no I’m not starting a new project – just curious!) and I am looking forward to its arrival in the near future.